Just a few weeks ago, I'd received an email from the marketing department of Rachel K Cosmetics asking if I would like to try their new product, the CC Renew Pressed Powder. I was really thrilled because I've always wanted to try Rachel K's CC product range since I've heard pretty good reviews about them. Also, because I'm just a huge fan of Rachel K, otherwise known as Rachel Kum herself. First of all, who is Rachel K? And what is this whole CC hype about? Well, I've always looked up to Rachel Kum not only because she was crowned Miss Universe Singapore in 2009 but also because she has grown to be such a successful lady with her skincare and cosmetic line. She is definitely a great role model for all of us Singaporean girls! With her own international label doing exceptional well, we can all chase our dreams like she did and believe that anything is possible as long as we work hard for them. Found this video on Youtube of Rozz interviewing Rachel a year ago and thought I'll share it with you all here. Pretty much tells you everything about Rachel K Cosmetics. Apart from all that is mentioned in the video, in 2010, Rachel K debuted her CC Cream and it was an instant hit according to their website. CC stands for Color Control. And much like BB creams that many of us are familiar with, the Rachel K CC Creams offer even more benefits such as color control, oil control, whitening, brightening, moisturizing and UV protection with SPF 35 PA ++. It's great for women like myself who are constantly busy and on the go. It's inevitable to put on our best faces everyday when we meet clients or head for events and photo shoots. And some times, applying make up can get a little dreadful if you're doing it so often. I usually skip foundation unless I have something REALLY important to attend and whenever I do have foundation on, I find my skin looking and feeling rather oily and it can get patchy. That's why I rather just apply loose powder, I've always preferred looking more natural anyway. But some times, I have blemishes or skin discoloration that the loose powder can't cover. Applying concealer over those blemishes and discoloration just makes me face look cakey. As you can see, I have combination skin whereby my cheeks often feels dry while my t-zone is constantly shiny and it can get pretty oily at times. I hate how shiny my nose gets some times, the shine makes it look bigger somehow. Also, from this picture, you can see some of my blemishes, a little bit of dark spots and discoloration on my nose and forehead. Anyway, here's how the Rachel K CC Renew Pressed Powder looked like when they were sent to me! I was given all 3 shades- Very Light, Light and Medium. These CC Renew Pressed Powders are made to transform your skin, revealing a natural luminous, flawless and perfectly smooth complexion. Here's what I love about Rachel K cosmetics, that they emphasize greatly on natural finishes and feather weight texture. You can tell from Rachel Kum's own complexion. It's proof that she don't have to apply much make up to get that dewy, fresh, flawless and radiant skin. Something else I love about these CC Renew Pressed Powders? It's their packaging! It's definitely classy, user-friendly and hygienic. Why hygienic? I'll explain a little more later. The 3 different shades. From left to right: Very Light, Light and Medium. I use Medium. Here's something interesting about it's packaging that makes it very hygienic! It has this little plastic divided in between the powder puff and the pressed powder itself. This keeps the pressed powder in shape and also gives a "home" to the puff! How cool is that? Also, I think that it's great for someone like me who is vain and constantly checking myself out in my little compact mirror. Every time I take out my compact powder case to look in the mirror, I am exposing my powder to the dust, dirt and bacteria in the air, but with the plastic divider, there is some sort of "protective barrier" available so I don't have to worry about contamination or whatever. If you're looking for great coverage here, the pressed powders might not do the job well for you. After-all, they aren't foundation, BB or CC creams. They're just meant to give you that finished, matte, radiant look. I suggest that if you want full coverage, you have to apply the CC Renew Cream first then the pressed powder over. It works well for me because it is definitely a step above loose powder. It gives me a little more coverage then usual but still allows me to maintain that natural appeal that I like. In this picture below, I'd applied the CC Renew Pressed Powder onto half of my face only so that you can see the difference. In the "Before" section, it is clear that my skin looked more shiny and my skin tone was a little uneven all around. Also, the dark spots are more visible there. However, in the "After" section, my skin looked a little more softer with even skin tone, lesser dark spots and it a glow. Not forgetting the fact that it still looks very natural. Almost as though I hadn't applied anything at all. At the moment, I am looking for TWO things. Twirling Pastels are back in action!! There is no doubt that Twirling Pastels offers tons of pretty apparels. Whether you're that sweet girl next door or that edgy fashion-forward enthusiast, there's always something for everyone to look forward to at Twirling Pastels :) Without further ado, here are my picks from their new collection! One of the prettiest romper-dress I've ever worn! First of all, I adore Navy apparels with floral prints. That's why I own tons of items like that. hehehe. I love this one cause it's SUPER comfy and lightweight. I can totally imagine myself wearing this to one of Fai and my picnic dates. 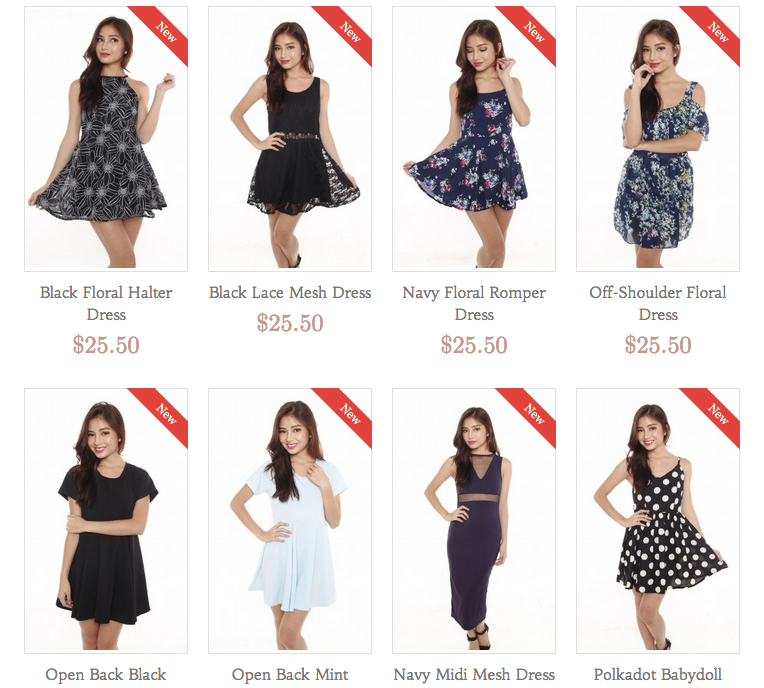 "Petite Fairies is an online boutique store that is solely managed by Kaylene. My dream is the main motivation behind the start of Petite Fairies; bringing in what I love and hoping that you ladies will love it too. Every girl deserves to dress beautifully. So stay tuned for more up and coming collections! I promise to satisfy your shopping needs with Petite Fairies ♥"
Basic but only better :) I've been eyeing on this top for pretty long now. I think that it's subtle stripe detail makes the entire piece look really pretty. This is such a versatile top that would look great with ANYTHING! I definitely see myself going to this top a lot whenever I'm in doubt. Listen up folks!!!! Wanna stand a chance to win one of these drawstring pouches?? 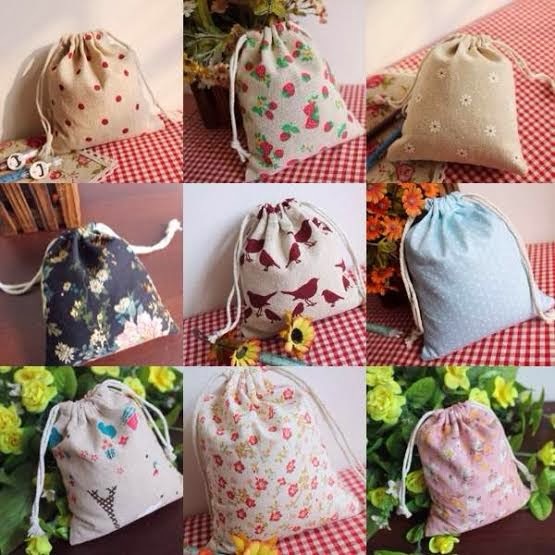 2) Repost the drawstring pouch photo & tag @petitefairies #EunicexPetitefairies ! They will be picking 10 lucky winners to walk away with the drawstrings pouch on 18th March 2014! Winner will be announced on their Instagram! Follow Petite Fairies on their social media platforms for more updates! Quote "EUNICE10OFF" to enjoy 10% OFF storewide!!! Hi Eunice, saw that you are looking for web designers? you can email me at joycelyn_q@hotmail.com for more information. Perhaps we can further discuss on what you do. It would definitely be beneficial to you if you have a registered company as there is current grant from IRAS - inland revenue authority of Singapore. looking forward to receive your email, thank you!